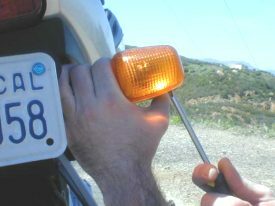 Don't pay someone to replace a burned out bulb in your bike, do it yourself! It's easy and this step by step guide shows you how. 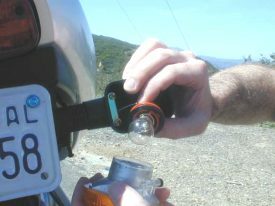 Most of these bulbs can be purchased at auto parts stores, Wal Mart type stores or at motorcycle shops. 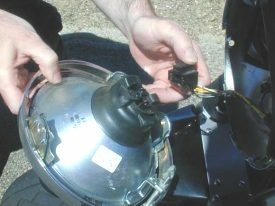 1) Remove 2 screws (when facing headlight they're located at 4 and 8 o'clock) from the headlight housing, just behind the edge of the headlight front trim. 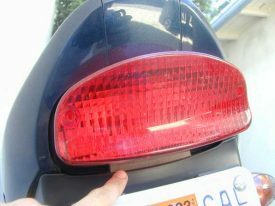 2) Pull headlight with trim up and out to remove from housing. The trim is hooked to top of housing and will require a little finesse to get it off. 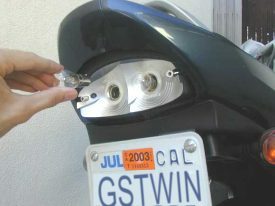 3) Unplug wiring connector from back of headlight by pulling it straight off. 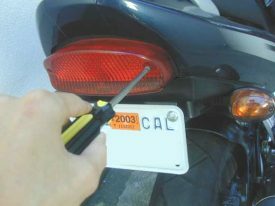 4) Remove black rubber cover by pulling it straight off. Helps to get a nail under an edge first. 5) remove retaining clip by pressing end down and to side. Clip is hinged and remains on housing but pulled out of the way. 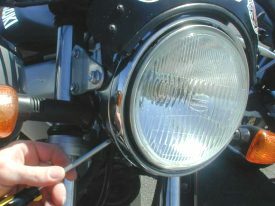 6) Remove headlight bulb by pulling it straight out. Install is reverse above. Make sure you line up the three tangs on the replacement bulb same as old one. make sure you don't touch the glass part of the bulb! 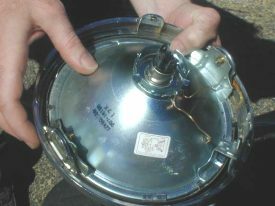 Also make sure you position the rubber cover with "Top" facing up. 1) Remove Phillips screw at bottom outer edge. 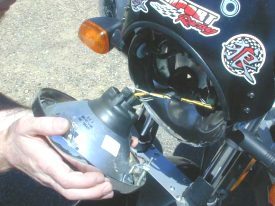 3) Remove bulb holder by twisting then pulling straight out. 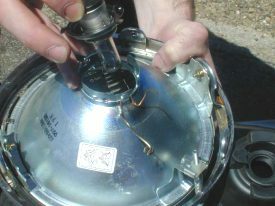 4) remove bulb by simultaneously pressing and twisting it then pulling it out. Install is reverse. make sure you seat the two nubs on the bulb when you install the replacement bulb. Remove bulb by pressing gently, twisting and pulling out of socket. 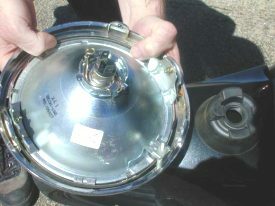 Install new bulb in reverse paying special attention to the nubs that stick out of either side of bulb base. One is higher up than the other preventing the bulb from being installed incorrectly. 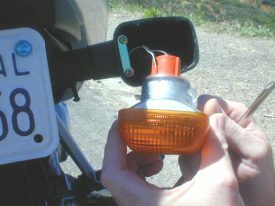 If you can&#8217;t get bulb to seat properly check that the bulb is in correctly. take care to thread two screws holding lens in place correctly-housing is soft plastic and you can cross thread it easily.